Slim Jim vs. Traditional J-pole Antenna. Many users of the SlimJIM participate in the bewilderment as well. All one needs to do is Google “SlimJim Gain” to find the discussions on E-Ham, the Zed, etc. As we will see below, the SlimJim antenna performs admirably in both simulations and chamber measurements. It can stand on its own two feet and doesn’t need any help from the hype-bots who feel it necessary to glorify the design with obviously inflated specifications. 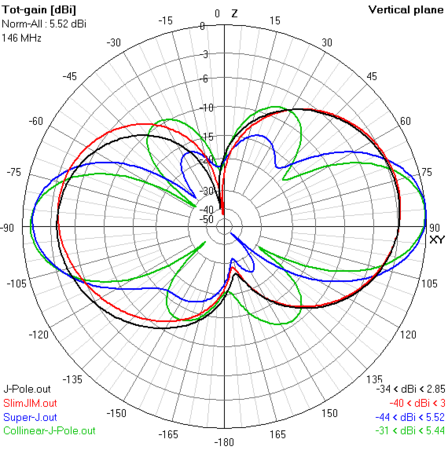 Figure 1 – J-pole Antenna and variations of same. Later I made simulations of the above variations and added the E-plane gain plots to the article. actual simulations agree with actual measurements!!! 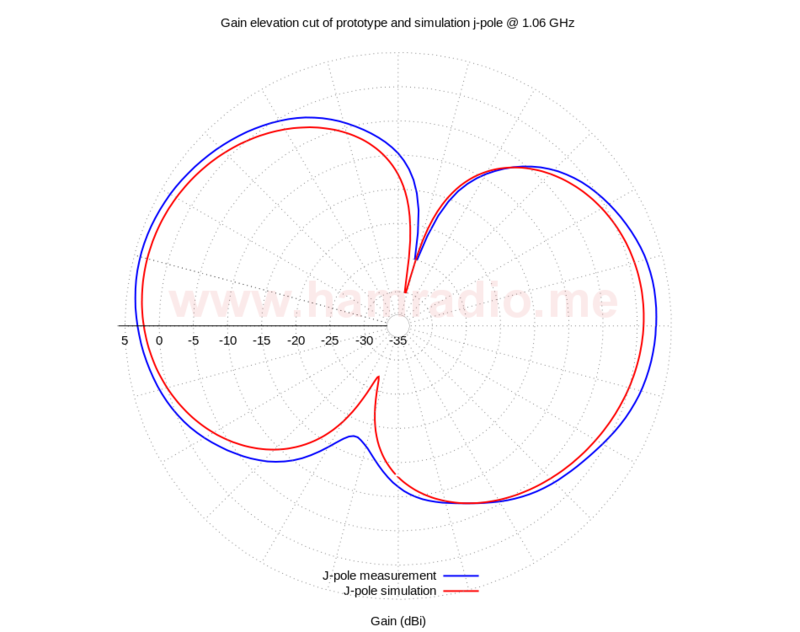 Measurement and simulation of the traditional J antenna compare favorably. 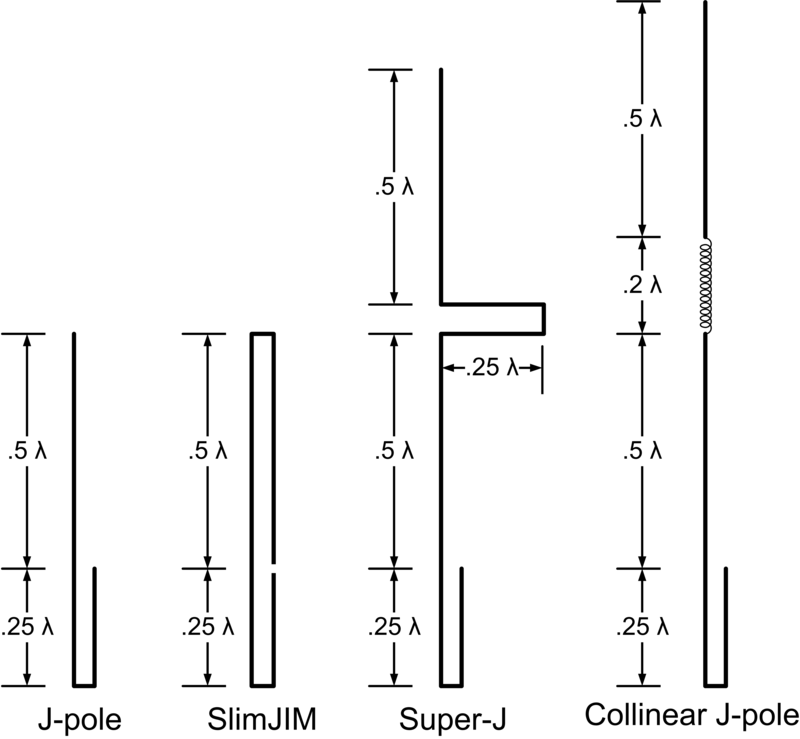 Measurements of the traditional J and SlimJIM antennas compare favorably. 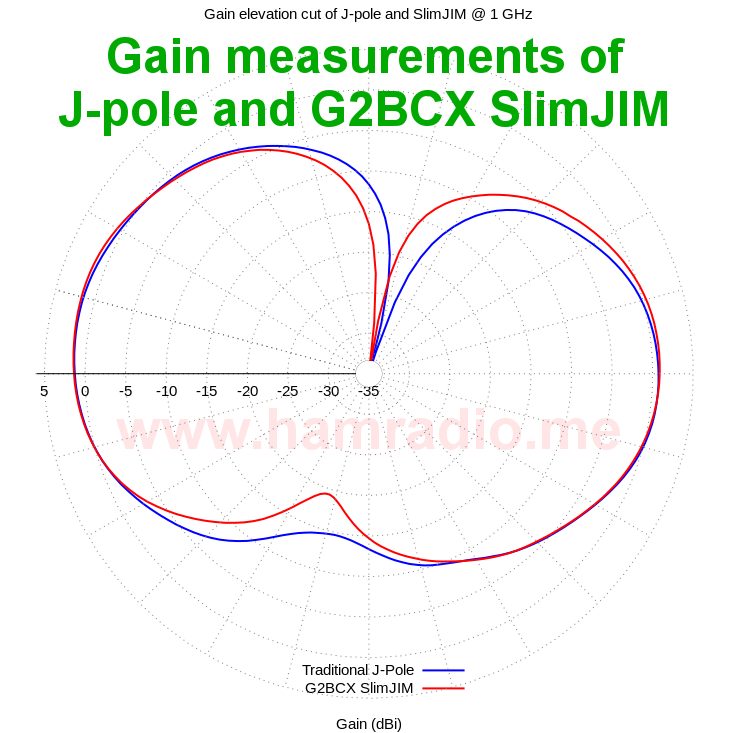 Simulations of the traditional J and SlimJIM antennas compare favorably. Therefore the simulation and measurement of the traditional and SlimJIM variations compare favorably. For all practical purposes, the traditional J antenna and SlimJIM operate identically. The SlimJIM is a waste of material in the copper pipe versions, but is of no cost consequence in the ladder line variations. By all accounts, so long as you address feedline and mounting structure conductivity concerns, the SlimJIM antenna should work perfectly fine. It’s acts just like a vertical folded dipole… no more… no less. Despite the heaping big mountain of evidence to the contrary, plus the fact Fred Judd (G2BCX) never once made the claims currently circulating in the SlimJIM social circles, some will never give in. In a free society, people have the luxury of ignorance to a point. To be fair, antenna behavior isn’t obvious at first glance. That said, there is a line of liability one crosses when making such claims to potential buyers of the SlimJIM antenna. For some reason, some antenna manufacturers, even some big corporate outfits, get away with constantly lying about the gain of their products. 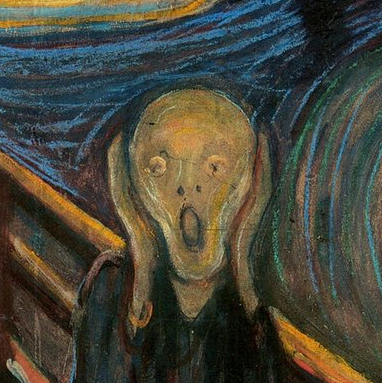 Let’s stop picking on SlimJIM makers for a moment and look to a candy store offering. Emphasis added. 6.5 dBd eh? The only way to get that much omnidirectional gain, quadrupling the effective radiated power, over a dipole is to have four elements perfectly collinear, perfectly spaced vertically, and perfectly phased. 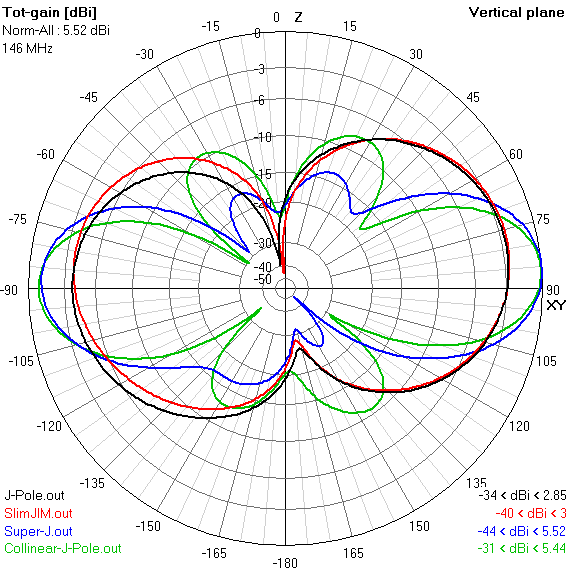 In other words, 6 dB over a dipole requires twice as much antenna than physically exists in the CP22E. Absolutely ridiculous. The antenna itself is just fine, but the marketing specifications are provably “optimistic.” Sad. 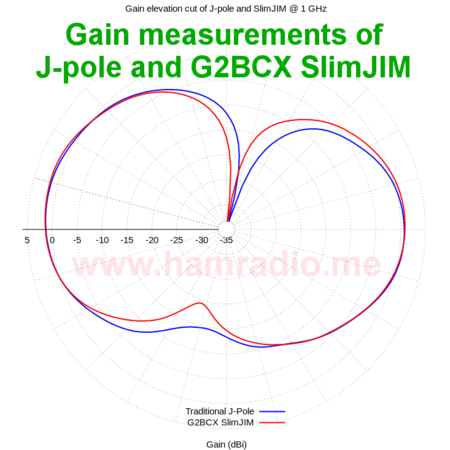 So it’s not too surprising SlimJIM makers join the fray and go a bit too far with claims of +3 to +6 dB gain over a dipole… due to misinterpretation of Fred Judd’s original comparisons. It’s just a matter of time before purchasing departments (especially those in the government) catch on and hold vendors and manufacturers accountable for purposely misleading customers with demonstrably bogus specifications. Your job as antenna manufacturers and vendors is to ensure the customer receives a product with at least some technical vetting. If you do not know the actual specifications of the product you sell then, pardon me, what good are you? Consider this your wake up call. 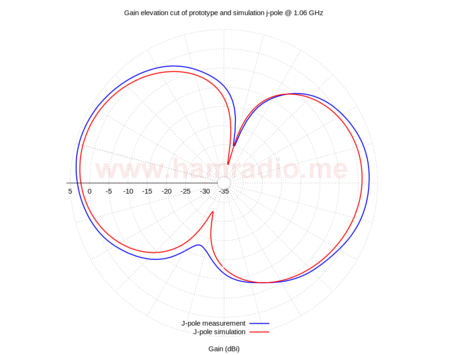 The good news is you can learn what you’re expected to know with some basic antenna study and some leisure time with readily available NEC simulation programs. Antenna measurements are more difficult, but if you vet your product in NEC (or one of the many available antenna simulation programs – HFSS, FDTD, etc.) and use the output data in your sales literature, you won’t run afoul of knowledgeable purchasing agents. You antenna sellers need to understand something… antenna users very often run their link budgets close to limits. Antenna gain is a big factor in optimizing the whole system. Therefore antenna specifications need to be conservative and accurate. You do realize, don’t you, if you sell an antenna that can’t meet promised specs, you could be liable for the financial harm you cause a customer who trusted your numbers. Read that sentence again. Get the picture? Think this cannot happen? SlimJIM makers and users are not alone in inflating antenna gain claims. However, their particular reasoning stems from a misinterpretation of Fred Judd’s original design and testing as discussed here. Read up on antennas, play with NEC and get to know your product. You and your customers will be all the better for it. I’ve communicated with a couple prominent makers of the ladder-line SlimJIM antennas each with web sites, Ebay stores and name brand recognition. I questioned them on their 5 dB or more gain claims on their otherwise fine products. One gave me the written equivalent of the single finger salute. LMAO. Did I hit a nerve pal? The other actually proceeded to advise me, ME, how NEC can be used to calculate antenna gain. 😐 I suppose we should give him credit for at least knowing what NEC is. Maybe it’s time for him to USE IT! Contact attempts to a certain copper pipe ‘6 db’ SlimJIM maker remain unanswered. Ignorance is bliss. 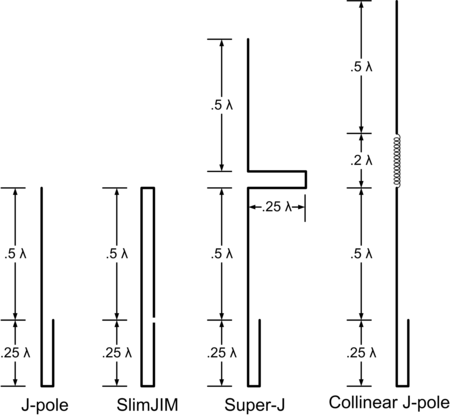 How can the Coil in the Collinear J-pole antenna be Calculated? As I understand it, the length of the coil should be 0,2 wave length. To obtain 180 degree phaseshift?